Llanelli is a coastal town where the Welsh language is still widely spoken, and it has a long association with the tinplate, steel, and coal-mining industries. The town has undergone a metamorphosis during the past thirty years which has witnessed the closure of virtually all the old heavy industries, the reclamation of derelict sites, and the creation of many environmental and tourist attractions. Antioch Centre is a renovated 17,000 sqfi community facility. In 1904 it was the site of the production of the stepney spare wheel. Meeting rooms hold up to 20-30 people. Youth café for informal meetings. Fully fitted industry standard kitchen. Bouncy castle + fixed play facility. Music recording + rehearsal studio. Antioch Church is based in a converted warehouse which we call Canolfan Antioch Centre. 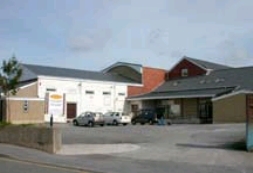 Canolfan Antioch Centre is in Llanelli, South Wales 10 minutes drive from the J48 on the M4 motorway and right behind the Railway Station.